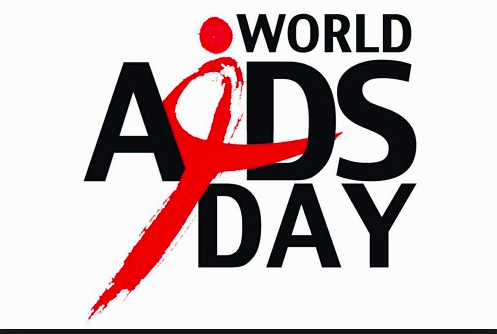 The City of West Hollywood is marking World AIDS Day with a number of events. World AIDS Day, which is Dec. 1, originated at the 1988 United Nations World Summit of Ministers of Health on Programmes for AIDS Prevention. Every year, United Nations agencies, governments, nonprofit organizations and others join together to campaign around specific themes related to AIDS. The international theme of this year’s World AIDS Day is “Know Your Status,” a reference to the importance of being tested for HIV. –Following the Candlelight Vigil, the annual Paul Andrew Starke Warrior Awards presentation and reception will take place at 7 p.m. Friday at the City Council Chambers. The event will feature the Warrior Awards (given to outstanding employees or volunteers of local agencies that offer HIV/AIDS and/or substance abuse prevention and care services); special guest speaker Ron Galperin, Los Angeles city controller, and the following presentations: Year Two Evaluation of the HIV Zero Initiative, Aaron Celious, Maroon Society; L.A. County HIV/AIDS Strategy for 2020 and Beyond, Cheryl Barrit, Executive Director, Los Angeles Commission on HIV; and, Update on the Development of the AIDS Monument by Tony Valenzuela, Executive Director, Foundation for the AIDS Monument (FAM). Also on site of the Warrior Awards, the city’s community study consultant, Raimi + Associates, will be conducting a community study pop-up workshop in the Council Chambers’ lobby before and after the World AIDS Day program in order to receive input from attendees on priorities for social services funding, which includes HIV/AIDS programs. The onset of the HIV/AIDS epidemic had a significant impact in West Hollywood. The disease’s elevated infection rate among gay men caused a devastatingly high number of deaths in the city. The City of West Hollywood was one of the first government entities to provide social services grants to local HIV/AIDS organizations. West Hollywood sponsored one of the first AIDS awareness campaigns in the country in October 1985, and the city’s response to the AIDS crisis has been recognized as a model for other cities, nationally and globally. The city actively participates in the development of programs that can bring awareness about the HIV/AIDS epidemic and services to people living with HIV/AIDS. The city has announced its vision to become an “HIV Zero” city and currently is implementing its HIV Zero Initiative Strategic Plan.